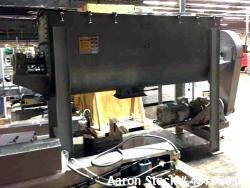 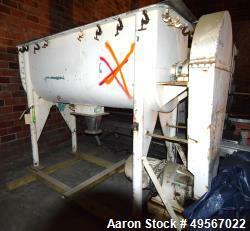 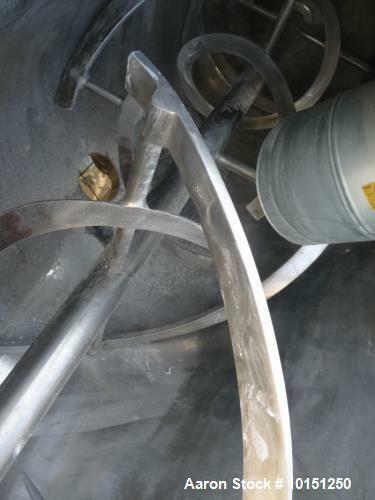 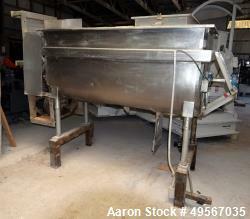 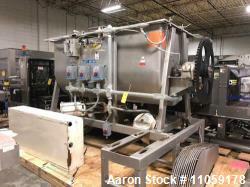 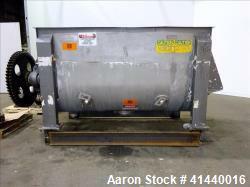 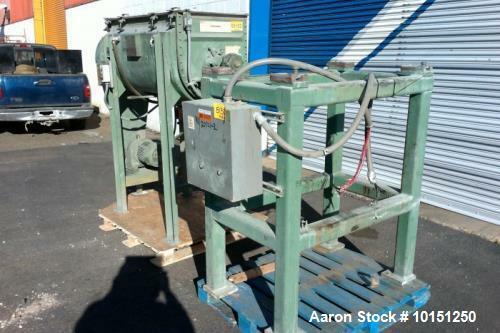 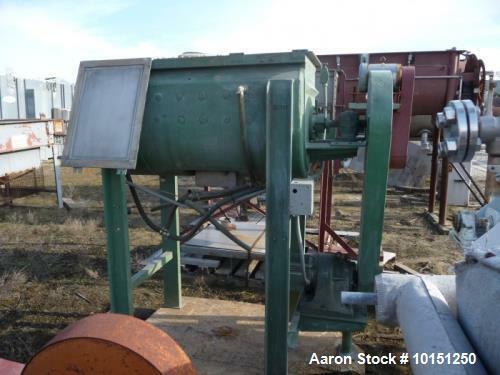 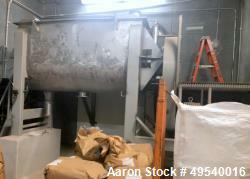 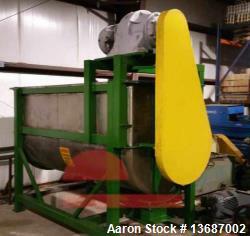 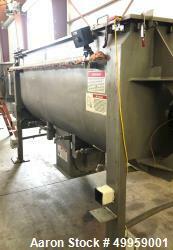 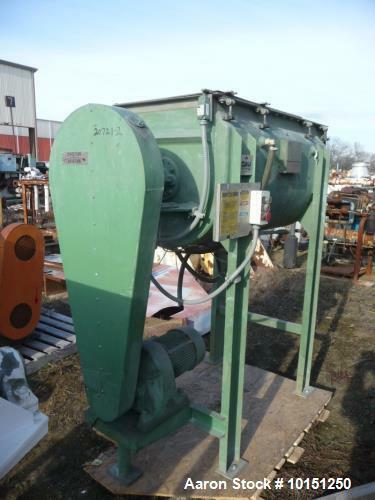 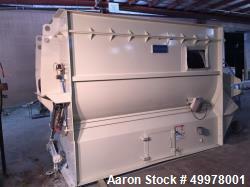 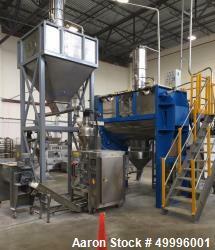 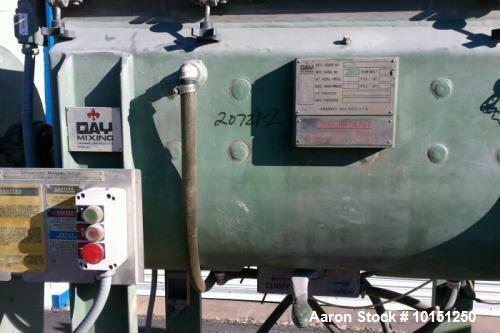 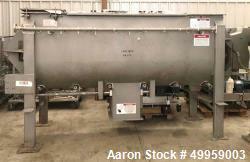 Used- JH Day Double Spiral Ribbon Blender, 10 Cubic Foot, Stainless Steel. 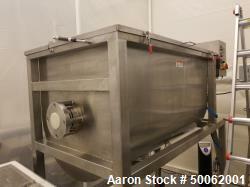 Dimple jacketed trough rated 80 PSI at 324 Degrees F, internal atmospheric rated. 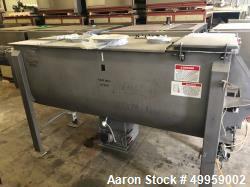 Trough 48" long x 22" wide. 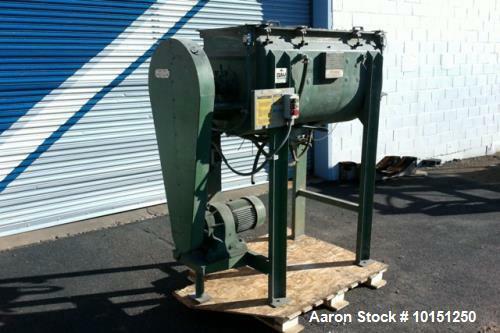 Driven by a 5 hp, 3/60/230/460 volt chain driven motor. 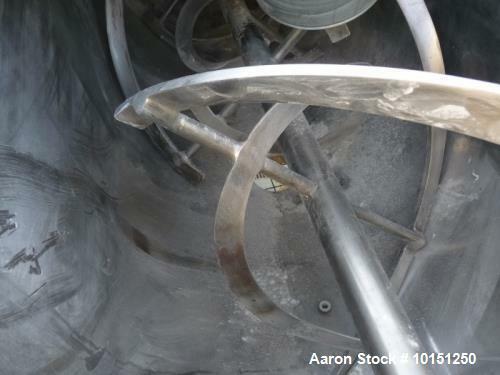 Center bottom outlet with manually operated discharge valve. 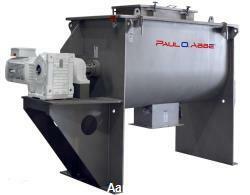 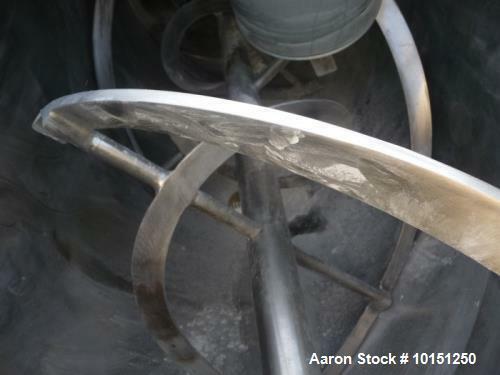 Mounted on carbon steel legs with an approximate 60" discharge height.